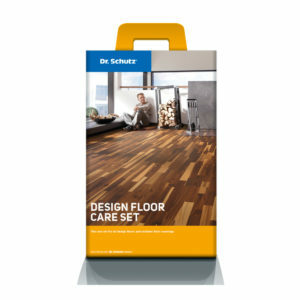 For resilient floor coverings, with either factory-coated polyurethane, or treated with a PU sealer. Shake the pen vigorously before use. Hold the pen upright and push the ‘PRESS’ button once before use. Hold the pen tip downright and push the button once more to let drops fall onto a cloth. Guide carefully along the scratch, dabbing lightly. Leave to dry for approx. 10-15 minutes and erase any differences in gloss with a plastic wedge. The cloth and plastic wedge are both supplied in the kit. Drying: 1-2 mins. Floor can be used as normal after 6 hours. Use the grey abrasive fleece to ensure the surface is as even as possible and ensure the area is free from dust and dirt before application. Shake the spray can vigorously before spraying onto the damaged area at a distance of about 30-40 cm. For best results, apply 2-3 times – allowing the protective film to air for about 5-10 mins between coats. Drying: 15-20 mins. Floor can be used as normal after 6 hours. Before first use, rinse the tip of the brush out under water and dry it with a cotton towel. Always ensure the floor covering is carefully cleaned, so that it is free of any dirt or grease before use. Work on erasing deeper scratches with the plastic wedge first, at right angles to the crater, so that any excess is removed. For best results, even out the damaged surface with the grey abrasive fleece and remove any resulting fine dust with a light, moist cloth before carrying out the repair. To prepare the brush tip for repairs, first shake the pen vigorously for at least 15 seconds, remove the cap and release air by pushing the button once before use. After use, rinse the pen’s brush tip with water and dry it off. 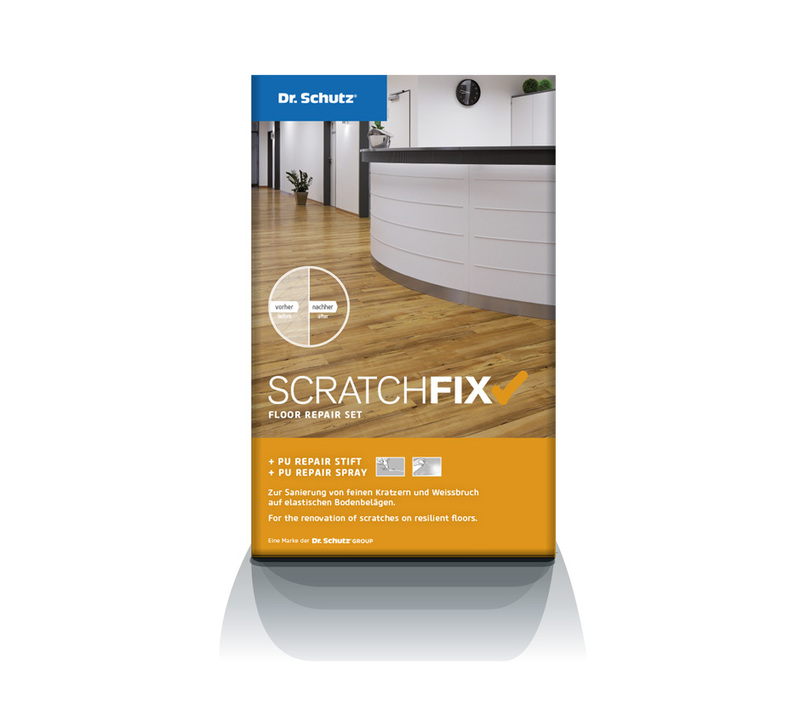 We recommend that all deep scratches repaired with PU Repair Pen are later treated with PU Repair Spray for best results. For partial repairs, it is possible that apparent differences to the remaining area may become visible (e.g. differences in the degree of gloss). This can only be remedied by renovating the entire area (e.g. with Dr. Schutz PU Sealer). Extremely deep scratches (in the used surface) can never be completely removed.